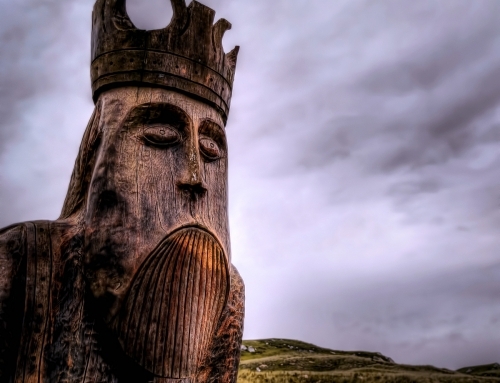 Myths and legends play a major role in Scotland's culture and history. 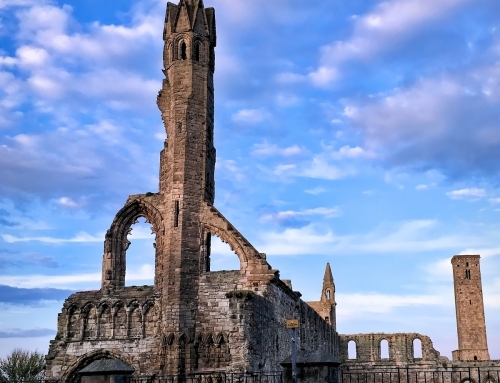 From before the dawn of history, the early ancestors of the people we now know as the Scots, built impressive monuments which have caught the imagination of those who have followed in their wake. Stone circles, chambered cairns, brochs and vitrified forts stir within us something primeval and stories have been born from their mystical qualities. 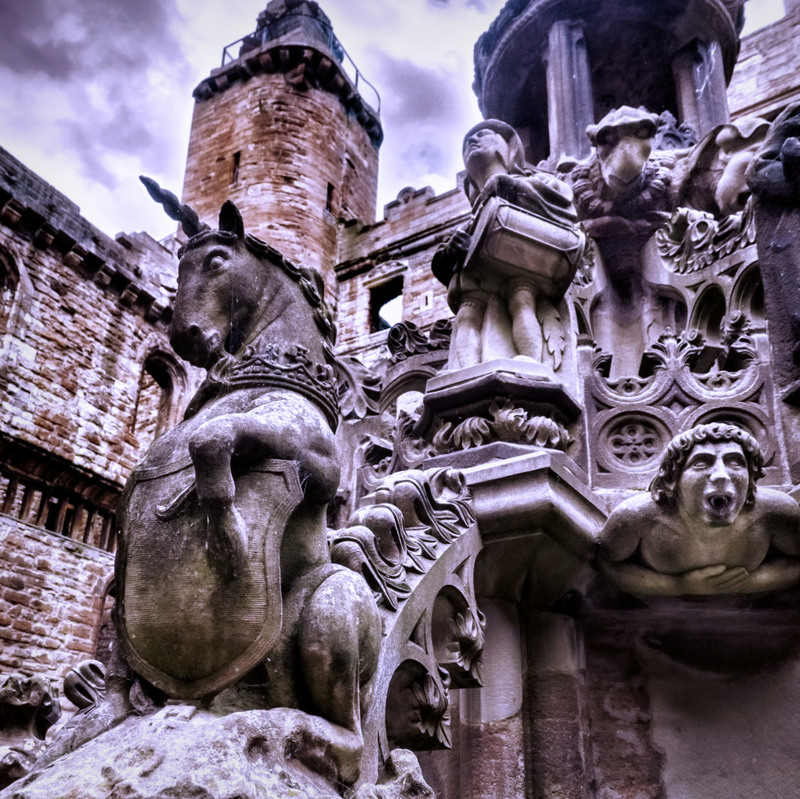 Scottish myths and legends have drawn their inspiration from many sources. Every land has its tales of dragons, but Scotland is an island country, bound to the sea. It is small wonder that our dragons were not flying, fire-breathing creatures but fierce sea serpents such as Orkney’s Stoorworm, borrowed from Viking legend. 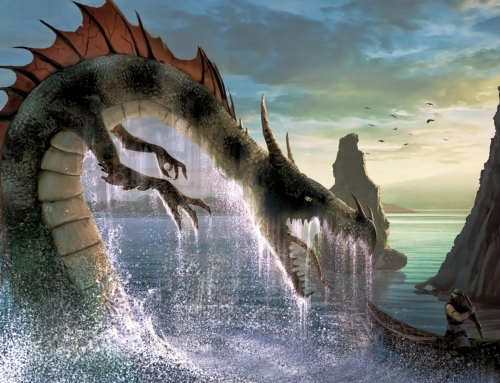 Cierein Croin, a gigantic sea serpent is said to be the largest creature ever. Then from the murky depths of Loch Ness comes the most famous of Scotland’s mythical creatures. Yes, Nessie is classified as a dragon although she may be a member of that legendary species, the each-uisge or water horse. However, the cryptozoologists will swear that she is a left over plesiosaurus. And is the Grey man of Ben Macdui, Scotland’s equivalent of the Yeti or Sasquatch (Big Foot)? 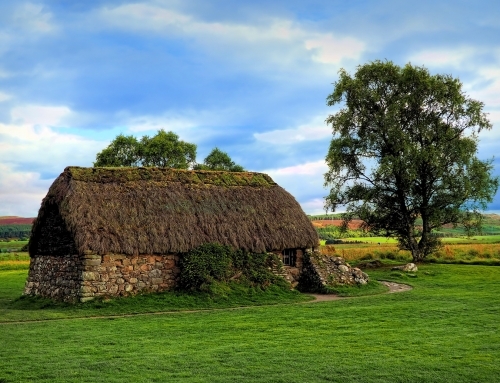 When the Dalriadan Scots left Ireland in the 6th Century, they brought with them more than the Gaelic tongue. They were great story tellers and had a culture rich in tales of heroes and mythical creatures. 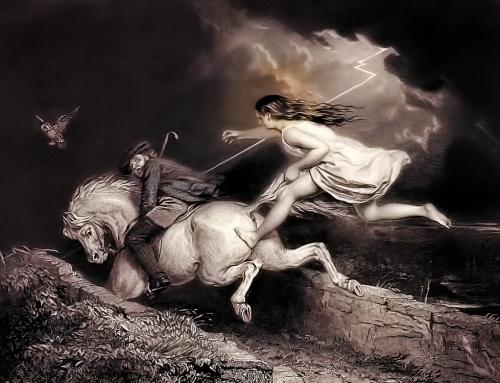 Many of the similarities between Irish and Scottish folklore can be accounted for by their common Celtic roots. Tales of Finn mac Cumhall and his warrior band, the Fianna are as common place on the Hebrides as in Ireland. Many of the myths centre around the cycle of nature and the passing of the seasons with the battle between light and darkness, summer and winter. It was the belief that the hag goddess Beira, the Queen of Winter, had the country gripped in her power during the winter months when she washed her plaid in the Atlantic waters. Once she is finished washing, she rests the pure white cloth over the mountains as a blanket of snow. As she washed she created the mighty whirlpool Corryvrecken. Then there are many of the regional myths and legends which focus on a local landmark or historic event. There are fire festivals whose origins are lost in the mists of time and hail back to the days before Christianity reached British shores. There are tales of those who were sentenced to death as witches, tales of those who had the ‘sight’ and tales of those whose restless spirits still roam the moors and glens and castles of Scotland. ASHRAYS: The Ashray or Asrais is a water-loving creature which is completely translucent in appearance. Sometimes mistaken for a sea ghost, the Ashrays are unable to live on land and can only be found under water. They can be male or female, and resemble to humans in their late teens or early twenties. The best time to look for an Ashray is in the dead of night for they are completely nocturnal. BAISD BHEULACH: A shapeshifting demon who haunted the Odail Pass on the Isle of Skye. Its’ howls could be heard in throughout the night. When it has been seen, it is described as taking the form of a man or beast and sometimes a greyhound dog running between large stones. BAOBHAN SITH: A particularly evil and dangerous female vampire from the highlands of Scotland who preyed on unwary male travellers in the glens and mountains. BEAN NIGHE: The bean nighe (pronounced “ben-neeyah”) or washer woman, can be seen at the side of desolate streams and pools washing the blood-stained clothing of those who are about to meet a violent death. The clothing she washes takes different forms depending upon the legend. Sometimes it is burial shrouds and in others, it is the bloodstained clothing of those who will soon die. Unlike the Irish version bean sidhe (banshee), who is very beautiful, she is extremely ugly. She is sometimes described as having a single nostril, one large buck tooth, and extremely long breasts, which she must throw over her shoulders to prevent them getting in the way of her washing. Her long stringy hair is partially covered with a hood and a white gown or shroud is her main wardrobe. Dressed in green, she was a small in stature and had webbed feet. BLUE MEN OF THE MINCH: also known as storm kelpies or in Scottish Gaelic as na fir ghorma, fear gorm or sruth nam fear gorm, are mythological creatures inhabiting the stretch of water between the northern Outer Hebrides and mainland Scotland, looking for sailors to drown and stricken boats to sink. They lived in clans in underwater caves and were blamed for shipwrecks. BODACH; This is the Gaelic word for an old man. The Bodach was said to slip down the chimney and steal or terrorize little children. He would prod, poke, pinch, pull and in general disturb the child until he had them reeling with nightmares. However, he will only bother naughty children. BODACHAN SABHAIL (LITTLE OLD MAN OF THE BARN): A brownie who would come to the aid of ageing farmers and thresh their grain for them. BOOBRIE: The boobrie is a mythological shapeshifting entity inhabiting the lochs of the west coast of Scotland. It commonly takes on the appearance of a gigantic water bird resembling a cormorant or great northern diver, but it can also shape shift into the form of various other mythological creatures such as a water bull. BROLLACAN: Scots Gaelic for shapeless, shady thing. A creature of the night. BROWN MAN OF THE MUIRS: A dwarf from the Scottish borders who serves as a guardian spirit over the wild animals. He wore brown clothes and had a shock of frizzy red hair and wild looking eyes. BROWNIES: Small, shaggy, brown man who wears tattered clothes and works as a ‘house faerie’ or domestic servant. However, they do not like to be seen and will only work at night, traditionally in exchange for small gifts of food. CAILLEACH BHEUR (BLUE HAG): A blue faced hag found in the Scottish Highlands. She is also known as Beira, Queen of the Winter. She is ill-tempered and dangerous and is seen with a crow on her left shoulder. Associated with winter she was reborn on every All Hallow’s Eve and she brought along winter and winter snows. She carried a magical staff which froze the ground with every tap. She also guarded animals in winter. CAIT SÌTH: Fairy cat who haunted the highland region. As big as a dog, the cait sith was completely black apart from one white spot on its breast. The Highlanders did not trust the Cat Sìth. They believed that it could steal a person’s soul, before it was claimed by the gods, by passing over a corpse before burial; therefore, watches called the Feill Fadalach (Late Wake) were performed night and day to keep the Cat Sìth away from a corpse before burial. CAOINEAG (THE WEEPER): A banshee-like spirit attached to the clans of the Highlands who could be heard wailing at the bottom of waterfalls before there is death or catastrophe within the clan. CEASG: A Highland mermaid who if captured would grant three wishes. COLIUNN GUN CHEANN (THE HEADLESS TRUNK): A huge, hulking ghost with no head who haunted the Macdonald lands. Apparently, he carried his severed head around with him and threw it at his victims, mostly travellers, to stun them before murdering them. CRODH MARA: The fairy cattle or sea cattle of Scottish folklore. They are said to inhabit fresh and salt water on the west coast of Scotland. They are usually hornless and dun in colour, except those near the Isle of Skye which are red and speckled or black. If the bulls of the crodh mara mate with mortal cows it will improve the stock. CU SÌTH: Faerie dogs that can be seen crossing the wastelands at night. The dog was green with long shaggy hair. It was roughly the size of a young bull. According to legend, the creature was capable of hunting silently, but would occasionally let out three terrifying bays, and only three, that could be heard for miles by those listening for it, even far out at sea. Those who hear the baying of the Cù-Sìth must reach safety by the third bark or be overcome with terror to the point of death. DIREACH: is described as giant with improbable deformities. One hand emerges from his chest; one leg is attached to his haunch; one eye rests in his head; and one tuft of rigidly inflexible hair grows from that head. DUNTERS A Red Cap or Redcap, also known as a powrie or dunter, is a type of malevolent murderous dwarf, goblin, elf or fairy found in the Scottish Borders. They are said to inhabit ruined castles. Redcaps are said to murder travellers who stray into their homes and dye their hats with their victims’ blood. Legends vary, but they are usually vicious, with red eyes, big teeth and talons. EACH UISGE: They were shape shifters who sometimes came in the guise of a fine horse or a pony. Although similar to the Kelpie, they are far more dangerous. They inhabit lochs and seas and eat their victims after tearing them into pieces. FACHAN (PEG-LEG-JACK): is a cruel and malevolent faerie with a very unusual appearance: it has one of everything (one eye, one leg, one arm, one hand, one tooth…). FIDEAL: An evil fresh water creature which inhabits Loch Na Fideil near Gairloch. The creature was known to drag women and children under the water and devour them. FUATH (FUATHAN): A generic term for Scottish water spirits who dwell in the sea, in rivers, and in fresh water and sea lochs. GEANCANACH: They are the pixie-like guardians of the home hearth, although they sometimes enjoy playing pranks. GENTLE ANNIS: The nature spirit and HAG controlling the southwesterly gales and winds in the Cromarty Firth. The firth is guarded against wind on the north and east by tall hills, but a gap allows sporadic and violent wind bursts to rush through, earning the fay a reputation for treachery. GHILLIE DHU: In Scottish folklore the Ghillie Dhu or Gille Dubh was a solitary male faerie. He was kindly and reticent yet sometimes wild in character but had a gentle devotion to children. Dark haired and clothed in leaves and moss, he lived in a birch wood within the Gairloch and Loch a Druing area of the north-west highlands of Scotland. GROGAN (GRUAGACH): A Highland brownie who helped around the farm. HABETROT: A border faery associated with spinning wool. KELPIE: Kelpies are the most common water spirits in Scottish folklore and they can live both in water as well as on land. These malevolent shape-shifting creatures often appear in legends as strong and beautiful black horses which live in the deep pools of rivers and streams in Scotland. Kelpies are known for preying on the humans they encounter. The hooves of the kelpie are thought to be reversed to those of a regular horse. In Aberdeenshire, the kelpie allegedly has a mane of serpents, while the kelpie of River Spey was known to be white and capable of singing. LOIREAG: A Highland fairy specifically responsible for overseeing the making of cloth through all its stages, from loom to fulling. She was a stickler for the traditional methods and standards, apparently. Offerings of milk were made by home producers to appease her. LUIDEAG: Murderous female demon of Scottish Gaelic oral tradition. Squalid in appearance as she was evil, the luideag haunted several pools on the Isle of Skye, especially the Lochan of the Black Trout. NUCKELAVEE: A horse-like demon from Orcadian mythology. It’s home was in the sea, but it frequently ventured on land to feast upon humans. A hideous creature, part horse and part man, with long sinewy arms. He had no skin and his muscle structure and veins could be clearly seen. The nuckelavee had an aversion to fresh water. SHELLYCOAT: A male water spirit from the border region. They wore shells and could be malevolent. SELKIE: Shape-shifting sea-fairies usually in the form of bright eyed seals. They are said to come on land in human form where they would dance, especially on full moon nights. TROW: is a malignant or mischievous fairy or spirit in the folkloric traditions of the Orkney and Shetland islands. They are generally inclined to be short of stature, ugly, and shy in nature Trows are nocturnal creatures and are similar to Scandinavian trolls They venture out of their ‘trowie knowes’ (earthen mound dwellings) solely in the evening, and often enter households as the inhabitants sleep. Trows traditionally have a fondness for music, and folktales tell of their habit of kidnapping musicians or luring them to their dens. WULVER: A Shetland supernatural creature with the body of man and a wolfs head. They are said to be benevolent.